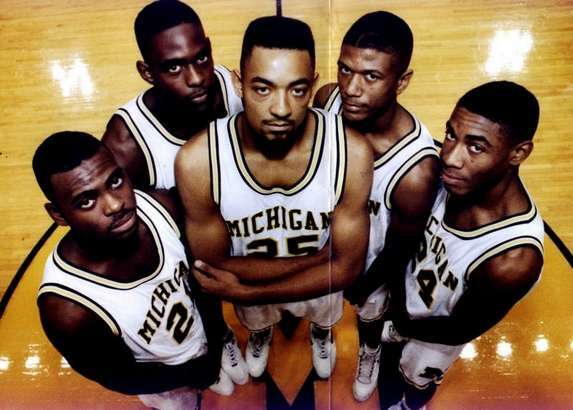 The Fab Five's Michigan basketball legacy has been tainted in the years since they left school, often told in bits and pieces, odd-fitting sections here and there. Numerous attempts have been made to tell the complete story. Free Press columnist Mitch Albom wrote a best-selling Fab Five book, Fox Sports made a "Beyond the Glory" review show, and many others tried to gather the entire puzzle of these college basketball revolutionaries. But, as Jalen Rose promised, the best way to do it -- the most complete way -- was from the inside. "Those were the stories," Rose said in an interview with the Free Press last week after a rough cut of ESPN's "The Fab Five" was made available to the Free Press. "This is the Bible." This all-inclusive documentary -- with a 100-minute running time scheduled to debut at 9 p.m. March 13 -- is as complete a telling as anyone has done.